Google has a not-so-major but nonetheless great update for its iOS app: you can now search on Google without leaving iMessage. 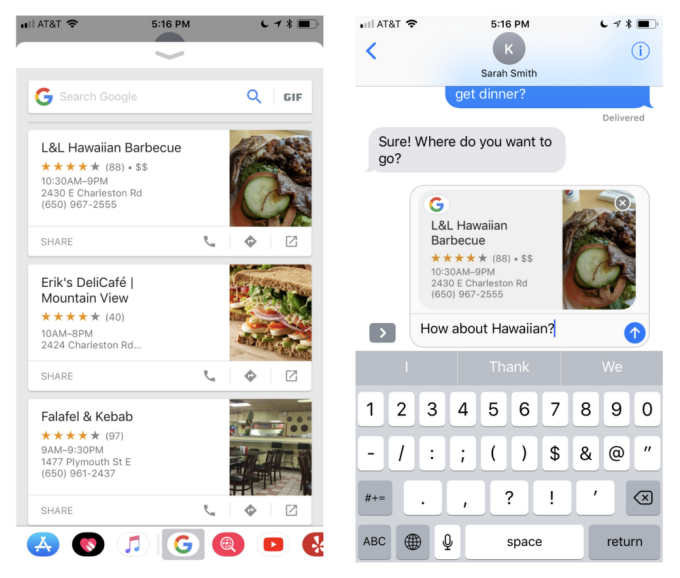 Google has added an extension for iMessage to further integrate itself in iOS devices. Users can search for things like links, places, and videos and send them to the person you’re currently messaging. Search result links you’ve chosen can be directly shared with the recipient, and iPad users can just drag and drop links to iMessage or even the Notes app for later use. It also includes options for specific kinds of searches such as “Weather, Food, Nearby (venues/businesses), Trending (news), or Videos”. The extension includes a GIF button at the right of the search bar and has Safari as an optional browser for users. 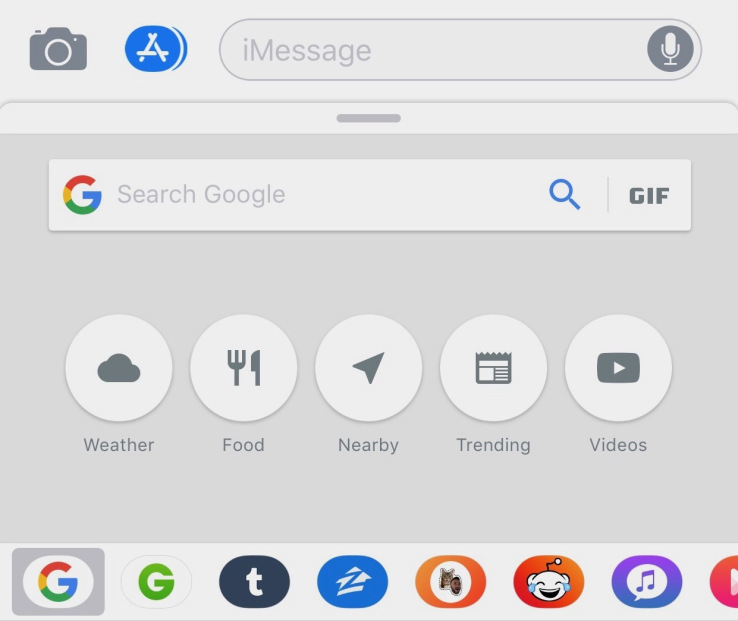 Techcrunch has noted similarities between the new iMessage tools and Google’s third-party keyboard app, Gboard. The company had probably drawn some inspiration from the latter. For now, the new feature is only available in the US but hopefully will soon roll out to other countries.